Sightseeing on a Hawaiian vacation is so easy! Just look outside! That being said there are lots of scenic destinations all around the island. Oahu has the most extensive freeways in the state, and it’s pretty easy to navigate once you get the hang of it. However, with around 1 million residents, driving on Oahu is all about timing to avoid getting stuck in heavy traffic. 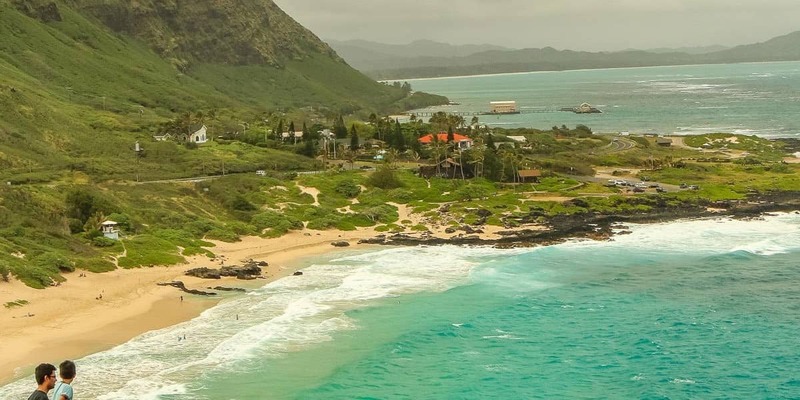 Many of Oahu’s activities, including sightseeing tours such as circle island tours, provide transportation so you can relax and enjoy the drive! There is a lot of value to having a guide who not only knows the history and legends of the islands scenic locations but also knows the skill and timing involved in driving these extensive roadways. 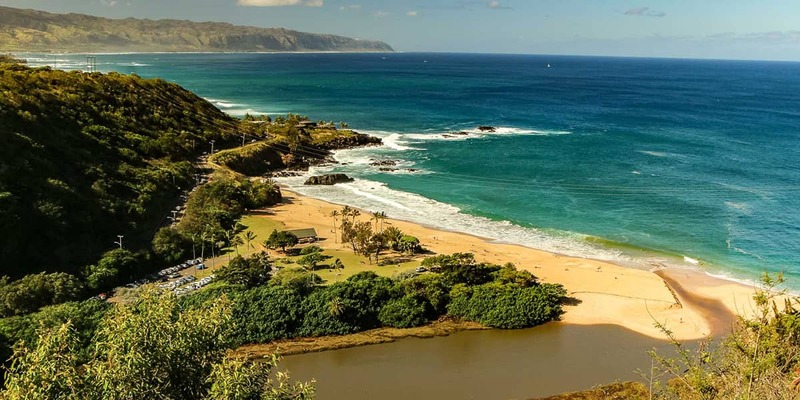 Examples of sightseeing locations on Oahu include the north shore and it’s famous big wave surfing beaches, the windward side with it’s naturally protected bays and lagoons with the spectacular Koolau Mountain Range as a backdrop, the Nuuanu Pali Lookout with it’s 1000’ ft high perch, Honolulu’s historic buildings such as Iolani Palace and, of course, Pearl Harbor National Monument. 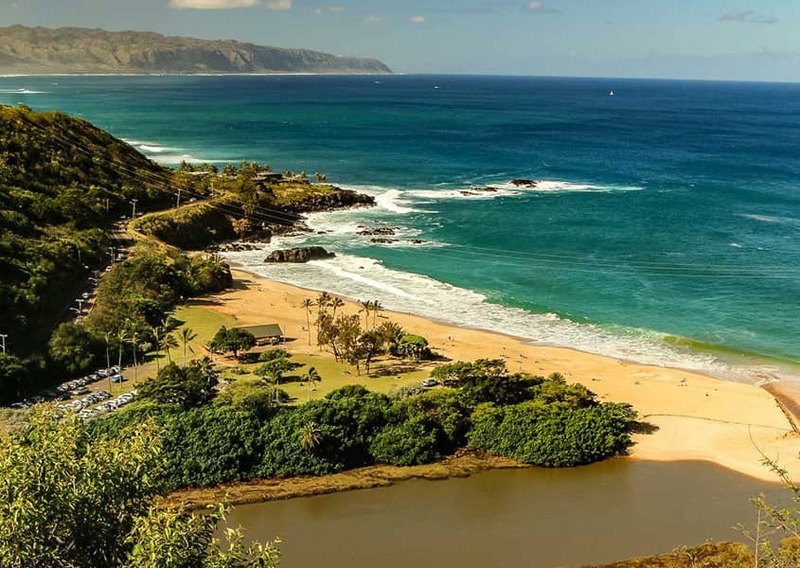 Other land tours include seeing movie and TV show locations like Jurassic Park and Hawaii 5-0 or spending some time exploring attractions such as the Polynesian Cultural Center, Dole Pineapple Plantation or hiking into Waimea Canyon for a dip underneath a waterfall. We are here to help you sort it all out to find the perfect sightseeing tour at the best prices on the island! The town of Haleiwa on Oahu’s north shore was home to the island’s first destination resort – the Haleiwa Hotel. When Kamehameha invaded Oahu in 1795 he drove the islands army into the mountains behind Honolulu to the edge of the Nu’uanu Pali were they were driven over the 1000’ cliffs. Iolani Palace is the only palace on U.S. soil.